Delicious Living magazine has awarded 3-Day Cleanse Total-Body Reset a 2019 Delicious Living Supplement award in the Best Cleanse/Detox Category. Clean Eating magazine has awarded Organic Clear Fiber™ with a 2018 Clean Choice Award in the Digestion Category. Amazing Wellness magazine has awarded Renew Life® Kids Daily Complete Probiotic + Organic Prebiotics a Best New Probiotic Award of 2018. Better Nutrition magazine has awarded Renew Life Strong & Ready Probiotics + Organic Prebiotics a Best of Supplements Award in the Immunity category. Vitamin Retailer has awarded 3-Day Cleanse its prestigious Vity Award for excellence. 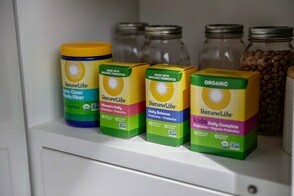 Based on results of the 2018 ConsumerLab.com Survey of Supplement Users, Renew Life® is rated the #1 Probiotic Brand in Consumer Satisfaction. Better Nutrition magazine has awarded Ultimate Flora™ Daily Immune Probiotic 25 Billion a Best of Supplements Award in the Probiotics category. Amazing Wellness magazine has selected Ultimate Flora™ Daily Immune Probiotic 25 Billion as a Best New Product of 2017 in the Probiotics category. Vitamin Retailer has awarded Total Body Cleanse its prestigious Vity Award for excellence. Delicious Living magazine has awarded 3-Day Cleanse Total-Body Reset a 2017 Delicious Living Supplement award in the Best Cleanse/Detox Category. Taste for Life Magazine has awarded Renew Life Organic Clear Fiber™ with a 2016 Essentials Award in the Gluten Free category. Better Nutrition magazine has awarded 3-Day Cleanse Total-Body Reset its coveted Best of Supplements Award in the Detox & Cleansing category. Taste for Life Magazine has awarded Ultimate Flora™ Women’s Complete Probiotic 90 Billion with a 2016 Essentials Award in the Women’s Health category. Taste for Life Magazine has awarded Gentle Move™ Kids Colon Support with a 2016 Essentials Award in the Back to School category. Vitamin Retailer has awarded the Ultimate Flora™ brand its prestigious Vity Award for excellence. Vitamin Retailer has awarded Organic Clear Fiber™ its prestigious Vity Award for excellence. Taste for Life Magazine has awarded First Cleanse with a 2016 Essentials Award for supplement excellence. in the Women and Men’s Health category. Taste for Life Magazine has awarded Ultimate Flora™ Probiotic Fizzy Drink Mix with a 2015 Essentials Award for supplement excellence. Ultimate Flora™ Women’s Complete 90 Billion probiotic as a finalist in their Best Women’s Health Supplement category. Vitamin Retailer has awarded CleanseSMART— Advanced Total-Body Internal Cleanse its prestigious Vity Award for excellence. Ultimate Flora™ Senior Formula 30 Billion probiotic its prestigious Vity Award for excellence. probiotic their Best Women’s Health Supplement award for safety, purity and efficacy. 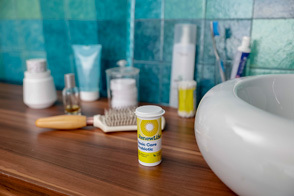 Based on results of the 2014 ConsumerLab.com Survey of Supplement Users, Ultimate Flora™ was rated the #1 Probiotic Brand in Consumer Satisfaction. Click for more information. Taste for Life Magazine has awarded CleanseMORE with a 2014 Essentials Award for supplement excellence. Each January they award quality, natural supplements that Taste for Life Magazine recommends to their readers. Better Nutrition magazine has awarded Ultimate Flora Women’s Complete 90 Billion probiotic its coveted Best of Supplements Award for excellence & efficacy in the Women’s Health category. Vitamin Retailer has awarded Total Body RAPID Cleanse its prestigious Vity Award for excellence. for safety, purity and efficacy. Better Nutrition magazine has awarded Norwegian Gold® Super Critical Omega with its Best of Supplements Award - Essential Fatty Acids. 2012 Best Fiber/Internal Cleanse Supplement for 9 Years in a Row! Better Nutrition magazine has awarded Ultimate Flora™ Critical Care 50 Billion probiotic with its coveted Best of Supplements Award - Probiotics.